It will take at least two months to get from accepting an offer to buy your private company to legal completion. This is a nervous time for a seller as there is always the possibility of unforeseen problems. The route from initial agreement to legal closing can be long and arduous – at least 2 months in most cases, often longer. Not all deals get to the end of this long march. If the deal does fall apart the seller will probably be back to square one, or looking to resurrect a deal with a previously rejected buyer. This is unlikely to put the seller in a strong negotiating position. How Do You Stop You Company Sale Transaction Falling Apart? A experienced broker will try to keep fall back positions alive while due diligence and contract negotiations continue with the preferred buyer – but this cannot be kept up indefinitely. The best option is to pick a preferred buyer that will be easy to deal with. This buyer will display traits during initial discussions and price negotiations that give a high level of confidence they will see a deal through to completion. In some cases this may not be the buyer offering the highest price. What Are The Traits That Reliable Buyers of Companies Display? A lot of deals fall apart because when push comes to shove the buyers just can’t raise the funds for the deal as agreed. Not everyone is lucky enough to find a large corporate buyer with the means to pay for their company just lying around. If your buyer is reliant on third part funding, be that bank loans, asset finance or third part equity, negotiations will be more complex. The buyer will be under pressure from each of the lenders to maximise their own security and return in the deal. These pressures extend the time it takes to complete a deal, and can lead to sudden changes of direction. Be very wary of buyers with complex funding arrangements. 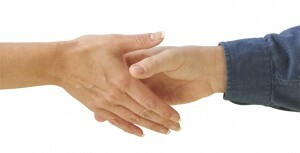 It is far easier to complete a deal with a buyer that is easy to deal with. This is less about enjoying each other’s company, and more about respecting the each other’s opinion and displaying a pragmatic approach to solving problems. Difficult issue will arise in both due diligence and contract negotiation. Buyers that have been confrontational and less than frank in initial negotiations are unlikely to change their spots under pressure. A well organised broker will document the terms of the initial offer in considerable detail. It is not unusual for buyer or seller to find that the deal in black and white is not quite the same as they intended. It is better to find this out before spending money with lawyers and accountants. Successful buyers of private companies understand that selling a company is an emotional, stressful life-event for the seller, and act accordingly. Sellers also need to appreciate that buyers are fearful of unforeseen problems after the sale. Prompt responses to information requests, and open explanations of any areas of concern, keep the process moving forward. Buyers that are positive about the potential of your company, and make this clear in initial discussions and negotiations, are more likely to have the energy to drive a transaction to conclusion. Buyers that appear half-hearted about the deal, and take the “We might be interested but only at the right price approach” are more likely to be discouraged by any problems that come up.